A good skincare routine is the key to clearer, more radiant skin. Choosing the right products for your particular skin type is also important in order to see effective results. We now offer the biggest range and variety of skincare, split into three categories to suit your needs; luxe, professional and essentials. Shop the best range of cleansers, exfoliants, serums, eye creams, face masks and more. Identifying your skin type is an important step in selecting the right skincare. Once you know your skin type, you can shop from multiple skin concern categories including Acne & Scarring Treatments, Skincare for Dry, Oily & Sensitive Skin, Pigmentation Correction and many more from the skincare drop-down menu. 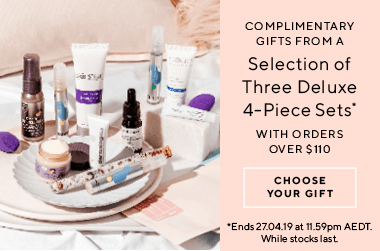 Best-selling skincare and beauty brands now meet in one place, so it&apos;s easier for you to shop the products you love, from Clinique, to Dermalogica, to La Roche-Posay, we&apos;ve refined your shopping experience to make choosing the right skincare a breeze. I tend to usually use high end primers but tried this one out because I wanted a cheap primer to just wear to work each day. Amazed at the quality and price of this. I love that it comes in a little dropper, made it easy to use just the right amount of product. Its a smooth silicone thick liquid consistency. Has an odd scent to it but very minimal. Was really easy to apply to my face because of the consistency and felt hydrating. Great day time primer and I will 100% purchase again. I have always had really good skin, but all of a sudden (now at 33) I am breaking out more than ever and as a result my skin is scarring. I wanted to get a suite of products that was going to help my problem skin, and this product was recommended to be by the Adore Beauty team (through their product advisors). Since I started using it, my breakouts are getting less and less, and I love the texture of this cleanser. Every time I use it I feel like I am doing good for my skin. A little bit more expensive than chemist cleansers but it&apos;s so worth it! This cream is rich but also light enough to wear during the day.